May 12, 2018 June 11, 2018 eriksarni.comFootball / MontebelloNo Comment on South Side in Overtime! 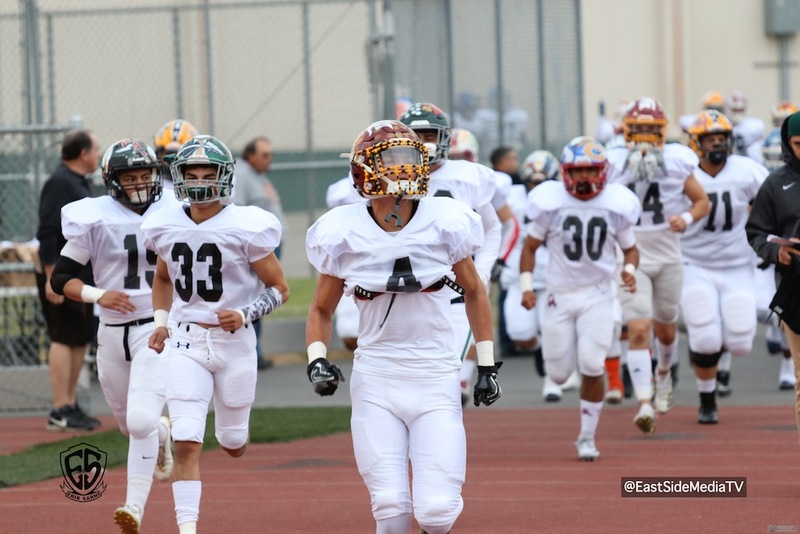 (Montebello) – Schurr’s Miguel Aguero hit Cantwell’s Anthony Ruiz with a 20-yard touchdown pass in overtime to give the South a 20-14 win over the North in the 2018 Hall of Fame Game Friday night at Schurr High School. The South stopped the North on four and out on the first possession in OT, then took over and scored on the fourth play when Ruiz caught the strike over the middle and fought his way into the end zone. It was the first Hall of Fame Game ever to go into overtime. The North, down 14-8, tied it with 5:40 left in the fourth quarter when Arcadia’s Max Davila scored on one yard leap over the top. However the extra point was missed paving the way for the overtime. The tying touchdown came after the North took advantage of a South fumble setting them up at the South 31. Darnell Williams of Burbank broke off a run down to the one-yard line before Davila punched it in. The North also got on the board first after another key South turnover. A bad snap on a punt gave the ball at the North 10-yard line. Two plays later Williams scored on a two-yard run and Davila scored on a two point conversion run – again with a leap over the top – for an 8-0 lead with just over seven minutes left in the first quarter. The South got on the board with 7:47 left in the second quarter when Ryan Torres capped a 55-yard drive with 7-yard touchdown run. The South went for two but failed and the North led 8-6 at the half. Aguero connected with Jalen Chaves of Cantwell on a 24-yard touchdown pass in the third quarter to give the South its first lead. Aguero found South El Monte’s Sal Tovar in the endzone for a two point conversion to make it 14-8. The North then got even in the fourth. Lance Babb hauled in an 11 yard pass from Aguerro on the first play of the overtime possession that led to the game winning score and a South celebration. Aguero threw for 125 yards and two touchdown to earn the South Offensive MVP Award. Babb, also of Schurr, caught six passes for 79 yards. Aaron Maldonado of Bishop Amat came up big for the South defense with six sacks. 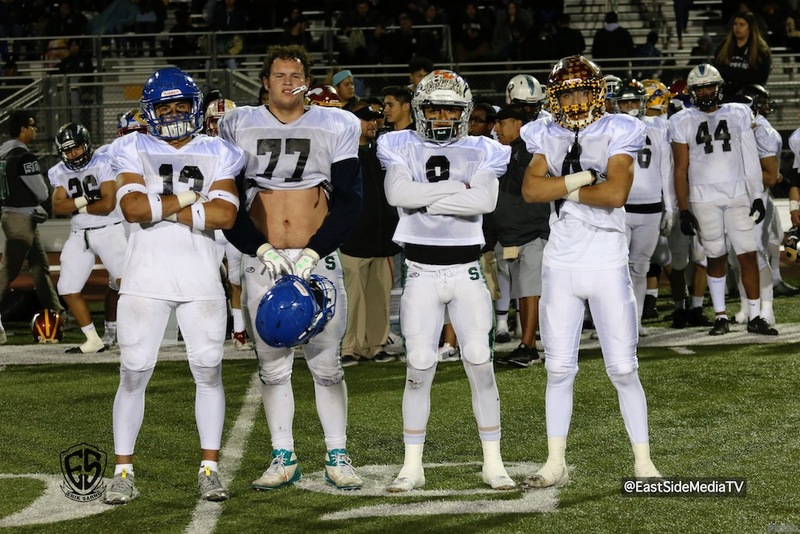 For the North, Anthony Lira of Burbank anchored the defense to earn MVP defensive honors.